Keeping a meeting on track can be difficult when you’re dealing with different personalities. When different personalities come together to discuss or decide, they will disagree occasionally. It might be useful to know what kind of personalities and meeting personalities there are so you can understand or handle someone better. Openness reflects people’s willingness to consider new ideas. They are original, imaginative, daring, have broad interests and generally prefer variety over fixed routines. Conscientious people are hardworking and want to complete the tasks they start and to follow rules. They are ambitious, energetic and like planning things in advance. Extroverted people love to be around other people. They are seen as sociable, fun-loving, affectionate, talkative and they derive energy from social activity. This corresponds with popular speech in identifying extraversion with lively sociability. However, Carl Jungs theory of extroverts and introverts is different. According to his theory, introverts need time alone to recharge and extroverts need time with others to recharge. Introverts are more comfortable being alone and by themselves. They attach great value to their “me time” and also tend to be introspective. At work, introverts like to work by themselves and come up with their own ideas before discussing them. Extroverts, on the contrary, are socially active, like to be part of groups, and love to go to places where they get a chance to interact. They hate the idea of being alone, leaving them alienated from their inner selves. At work, extroverts love working together, brainstorming and discussing with others. Agreeableness reflects how much people want other people to like them. They are sympathetic, kind, affectionate and likely to engage in pro-social behavior and volunteerism. People who score high on neuroticism worry a lot, are insecure, self-conscious and temperamental. This instability can cause difficulties in the workplace when people get angry or upset at others. To test these personality traits, you can let your team do the the International Personality Item Pool, available online in both long and short versions. Now, let’s take a closer look to specific meeting personalities and how you can handle them to have a successful meeting. Some people talk more than others. However, totally irrelevant rambling from a participant can have negative impact on your meeting. It can cause your meeting to take much longer and lose focus. Make sure there’s a clear agenda for the meeting with the topics being covered clearly displayed on a screen. When someone goes on and on about something and loses focus, you can call the attention back to the topic on hand. Give people five minutes to write down their ideas or thoughts in a silent brainstorm before opening the general discussion. Shyer people may not feel comfortable speaking up in larger groups, so you can create smaller groups to let people discuss. Another approach may be to talk to a quiet individual in private and discuss the importance of everyone’s ideas. Tell them you’d like to hear what they think and encourage that person to explain their (interesting) idea at the next meeting. Did you know that 73% of the average meeting goer has brought other work to a meeting at least once? These people may be called attendees, but they are not participants. They are not engaged in the meeting. How can you solve this? Tell attendees to leave all possible distractions at their desk and tell them to only bring things that they really need. Also, limit the meeting to a reasonable length so people don’t feel like they’re losing time they want to be spending on something else. Also known as the Know-it-all. This person may think he’s in a meeting of one, and everyone else is his audience. When you feel like someone is taking over the meeting by talking all the time, make sure you start asking questions to other people in particular. Start asking questions like “How do the rest of you feel about that idea?” or “Okay, that’s a good point; may we move on to someone else?” The point is to help other people participate. When you keep hearing “this will never work” from the same person, you know you’ve got a Negative Nancy in your meeting. What to do? Sometimes it’s enough to make people aware of their behavior. The best way to handle this is by asking yourself if this person has a valid point. If not, confront them by giving positive feedback. You can talk to this person in private and ask them to think about their answer first. Maybe they’ve never realized that they’re being negative most of the time. It can be difficult keeping a meeting on track with different meeting personalities. Start with structuring your meeting with an agenda and a time limit. This will give people little room for dueling personalities. When you’re facilitating a meeting it’s important to pay attention to who’s talking and that you can recognize things that are going wrong. 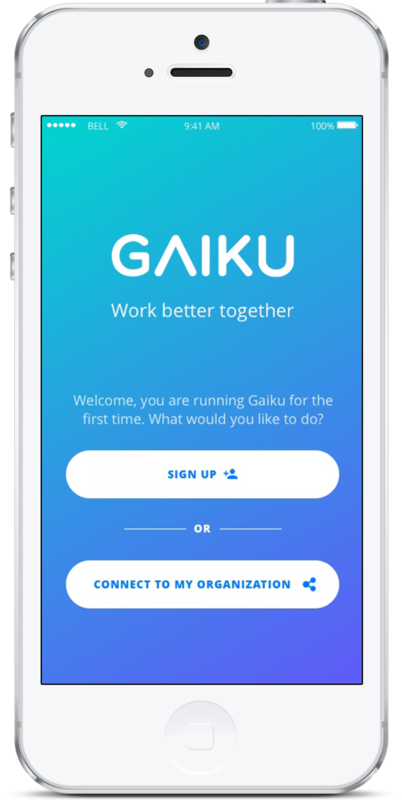 GAIKU is here to save your meetings! Our web app will guide you before, during and after any type of meeting. Sign up today!